Cushion Bonanza! & A very Merry Christmas! I just wanted to wish all my visitors and friends a very Merry Christmas this Christmas Eve! We have so much to be thankful for, including being able to share our thoughts, creativity and accomplishments online, and I hope you enjoy Christmas with all your loved ones, whether in person or in memory. Thank you to everyone who shares their amazing creations through their blogs .. You continue to inspire me all the time! I’ve been working on a few projects over the last few days .. Here’s how they’ve ended up! I so ‘cleverly’ (insert so much sarcasm here) decided to stitch up some cushions as present this Christmas .. The only flaw in my plan was that I decided this on the 22nd of December! I am happy to say however, that I’ve completed all 4 and they’re all wrapped and ready to be gifted tomorrow. 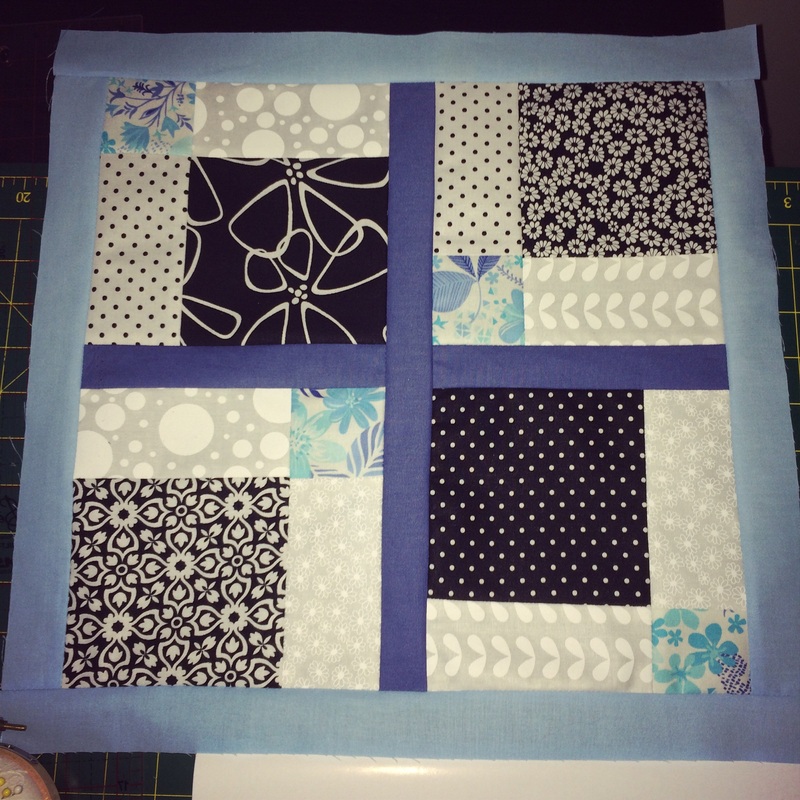 The first was x2) disappearing 9 patch 16″ cushions, bordered with light and mid dark blue. These are going to my Mum, and I really hope she likes them! 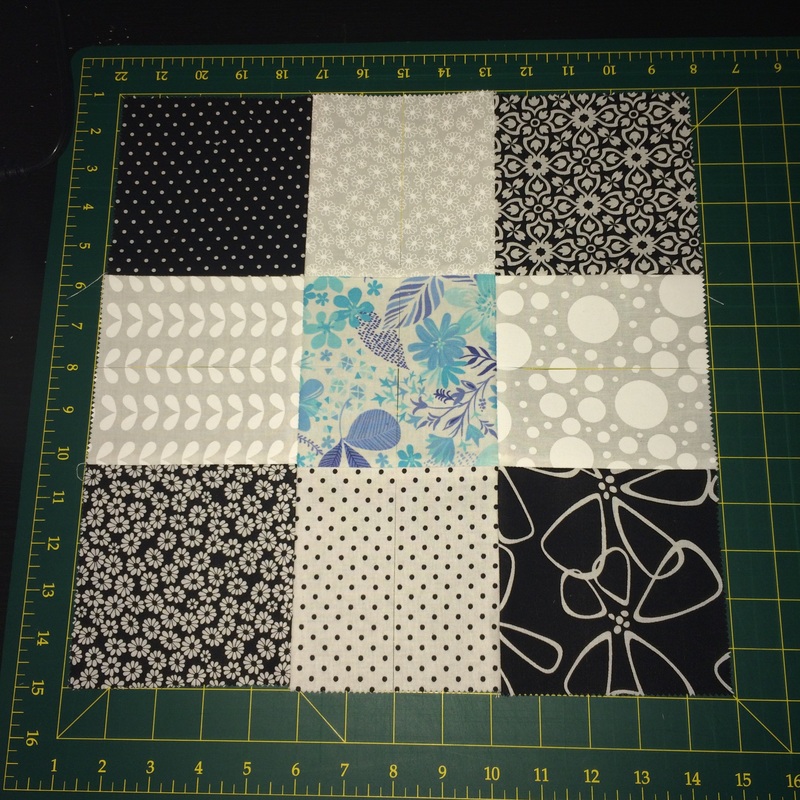 I used 9 charm square from Moda ‘Shades of Black’ charm pack, and 1 blue and white feature fabric, just for a pop of colour. 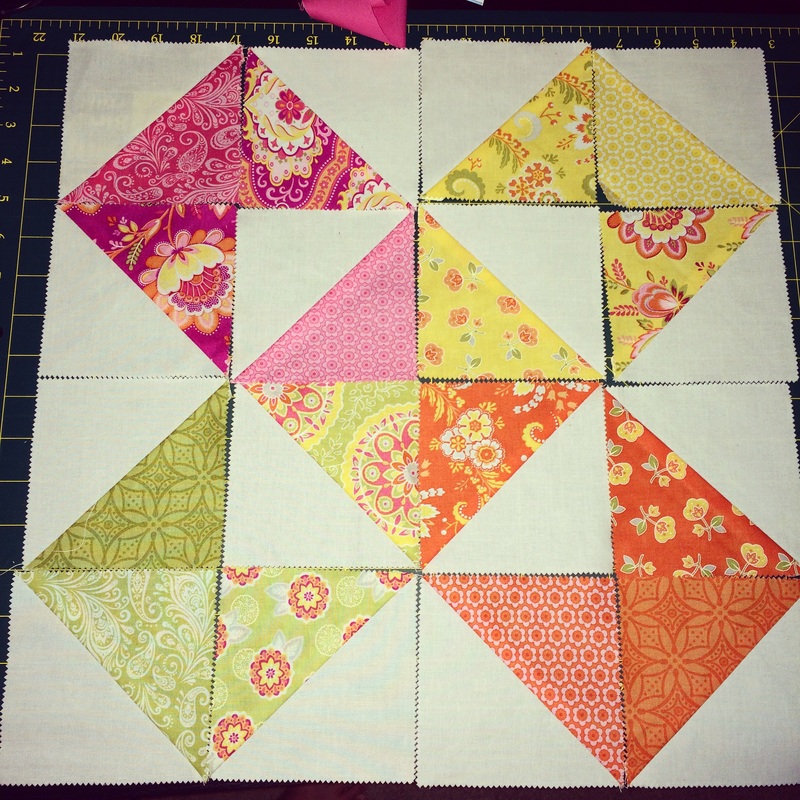 Once all 9 squares were sewn together, I cut it right down the middle up and down, and across the middle left to right, and then rearranged it to created the disappearing 9 block. I love this block .. There are so many variations, and so much creativity to be had just by using a few (or less than a few) fabrics, and rearranging until your heart’s content. 1 cut up and down, 1 cut left to right and this is the creation! Bordered with light blue and mid blue for the front of a cushion cover. The 2 other cushions I made were using a charm pack that I had made half square triangles out of several months ago. The HST’s were originally sewn up to create a quilt. but they ended up in my to be used pile and came in so handy .. I think that’s a big reason why I was able to finish all 4 cushions in only 2 days! These 2 cushions are going to my baby sisters, including their cross stitch initials, so I wanted to embroider their names on the back of the cushion, along with a sister saying .. I definitely nearly bit of more than I could chew with this project! I decided on, ‘A sister is a forever friend,’ because it’s cute and so true .. And also because it’s a short effective saying. Time was really of the essence here. I’m so glad I tried my hand at embroidery a few months back. I just used a simple back stitch on these 2 cushions, as I haven’t had the time recently to practice .. But even so, the end result isn’t half bad! Next time I won’t use such a fussy fabric as the backing though I think. 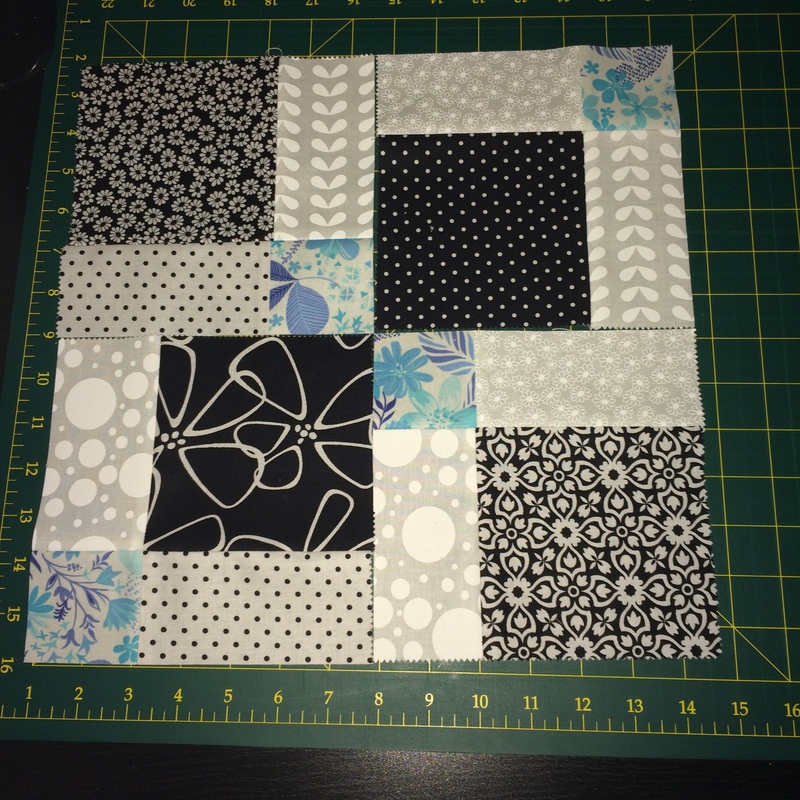 Layout of cushion blocks, pre sewing. And here is the end result! I hope my mum and sister love them .. Fingers crossed! Lovely, I certainly hope they are liked- I’d love some hand-made goodies at Christmas, but I’m the only one who makes in the family :( So instead I do swaps and exchanges! Swaps and exchanges are such a great idea .. How do you get involved in them? PINNED! I’m totally going to copy you! :) Thanks for sharing! You’re welcome – I LOVE being pinned!